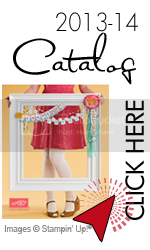 As of today I can share with you the new Stampin'Up catalog. Wow, do I love it. The new In Colors are bright and cheerful, also very rich looking and elegant. The cards in the picture are for my swap in Salt Lake next month. 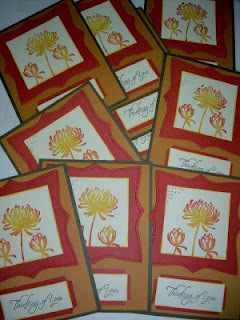 The dusty durango square that the flowers are layered on is done with one of my favorite Sizzix dies. Can you tell which one ? Email me and I'll be happy to share the information.